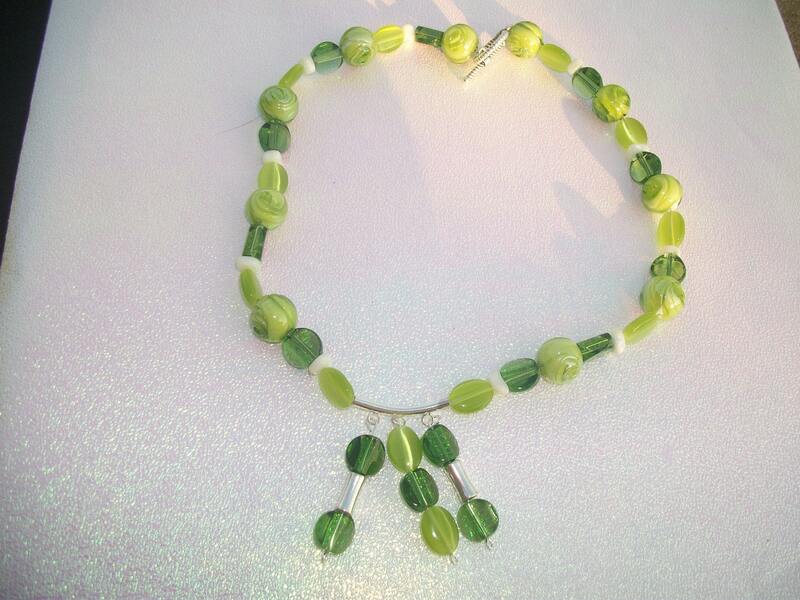 This necklace is just perfect for spring. It is 18 inches and its wired. All the beads are glass, and the silver ones on the pendant are medal. I made the pendant myself. It has a lovely toggle clasp.